Ranbhoomi, the annual sports meet of IMT Nagpur is a colossal event organised by the Sports Committee of the college. It was held from September 30 to October 1, 2017. The student managers got an opportunity to showcase their skills and talents in different sports including volleyball, football, basketball, throw ball, table tennis and lawn tennis. The Inauguration Ceremony marked the beginning of the event with the introduction of the participating teams and laying down of the rules for the event. Multiple teams from the current and alumni batch, including Pioneers from the first batch of the institute, 2005-07 took part in the event. 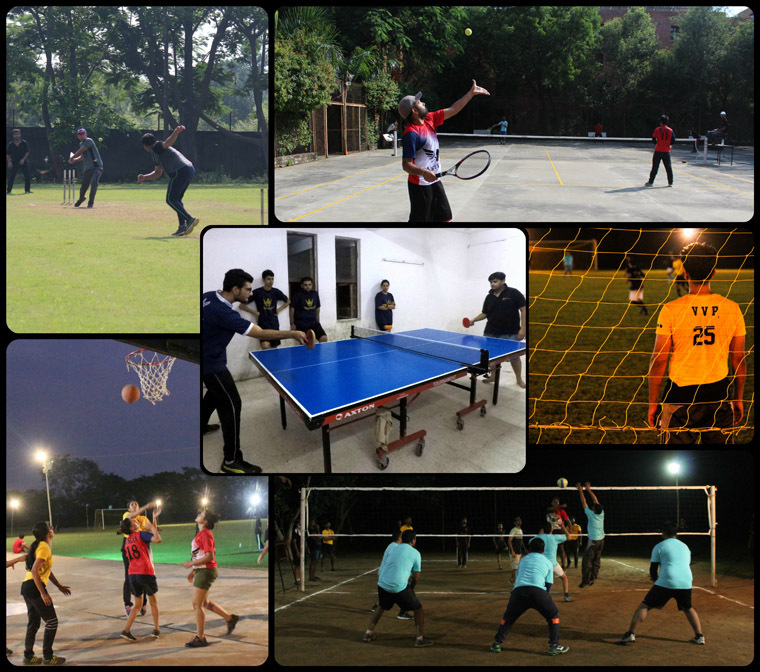 The first day of the event kick started with an enthralling cricket match followed by basketball, volleyball, throw ball, football, and badminton. Team Titans emerged as winners in cricket and Lawn Tennis. The Asterions emerged victorious in Basketball (boys), Badminton, Football and Table Tennis. Volleyball, LAN and Throwball were taken over by the Vikings. In the end, Vikings became the proud owners of the Ranbhoomi trophy and Asterions bagged the runners up of trophy. Sports took the theory out of books and taught student managers the lessons of team work, focus, goal seeking and bonding. The sportsman spirit as well as the dedication and determination from all participants made the event a sight to behold.